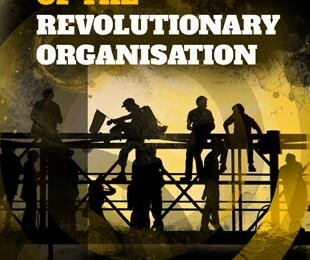 In understanding that the revolution must be made by the whole of the working class, the revolutionary organisation has a number of tasks to perform. As members of the organisation we must embody a set of shared aims and principles in the task of building towards revolution. We must work to actively dismantle structures of oppression that have been carried over from society. We must organise federally as opposed to centrally and have decision-making processes that are directly democratic. This encourages the active participation of all members and prevents the formation of unnecessary bureaucracy. We put forward the message that the working class must destroy capitalism and establish an anarchist communist society. We do this by giving practical examples of working class self-organisation. We are internationalist and make links with other groups in order to build solidarity and increase class effectiveness. Working class history is deliberately obscured and excluded from mainstream media by the structures of the ruling class. We work towards the rediscovery of past struggles, their successes and mistakes, sharing the lessons that develop our class consciousness. However, we cannot see ourselves solely as a propaganda group. We work to achieve local victories in our communities, building solidarity between those who rent, those who own, those on housing benefits and those who are squatting or homeless. We are involved in workplace disputes, attempting to make links between unionised, non-unionised and unemployed workers, as well as demonstrating common purpose between different workplace struggles against our shared class enemies. We join groups formed around fighting at particular intersections of oppression within the working class (such as women’s groups, queer collectives, disability campaigns, etc.). We point out the anti-capitalist and libertarian tendencies in these struggles. We agitate for a break with reformism, hierarchical forms of organisation, and the idea that we share an interest with members of the ruling class on the basis of a common identity. We work towards the fullest mass participation inside groups and throughout the working class as a whole. Ultimately, we aim to show the way in which all these struggles are interconnected and help build a sense of understanding, respect and practical solidarity between working class struggles so that different groups can work in mutual aid against common enemies. While seeking to openly spread our ideas as part of these movements, we do not try to make them appendages of the revolutionary organisation. Liberation is achieved by building autonomous groups that work together in class solidarity. Finally, we must continue to develop anarchist communist theory and practice during a time when many hold relatively conservative ideas and values. To this end we must be sure that these are not merely abstract theoretical concepts but are in fact real strategies developed through struggle. It is not the case that ideas must necessarily come before action; we learn through struggle and this in turn influences developments in our theory. It is vitally important that we are constantly assessing and revising our ideas to reflect changing material conditions. We do not fight for state power or appoint ourselves as leaders of the working class, we instead aim to develop a ‘leadership of ideas’ within the working class. We can’t simply hand someone a leaflet and hope that the writing will inspire them; we also need to prove the value of our methods through debate and execution. Our methods need to incorporate and explain the ideas we have. It is when faced with the class struggle first-hand that we develop our consciousness of it. We must also provide practical experience in the methods needed to realise an anarchist communist society (such as mass participation in decision making, collective action, and building solidarity between different struggles). At the same time, in recognising the leadership of ideas, the revolutionary organisation must acknowledge that it is one of many groups participating in the mass movement, alongside those without affiliation. In doing so it must meet the challenge of incorporating new theory and practice from other tendencies that may take a leading role in the struggle for a free society. The leadership of ideas stands in stark opposition to a party leadership or a revolutionary vanguard, who see their own ideas and own interests as being more important than those of the wider class and will use authoritarian methods to enforce their will, ultimately just leading to one ruling class being replaced by another. The current political system is a rigged game; no matter what we do within it, we end up at the same dead ends of state control and a capitalist economy. In opposition to this, we have to develop our own culture, not one foisted upon us by the state, capitalism and its agents – a culture based on a class in the process of resisting. The revolutionary organisation works to build bonds of solidarity that will unite us in a culture of resistance against the ruling class. This does not rest solely on a particular organisation or set of principles. It is composed of ideas, practices and attitudes that reveal to us our power as an exploited but necessary part of the capitalist system. It is collectively being aware and acting within our class interest. This culture is built upon our self-image and our self-belief. Many brutal and bloody acts have been undertaken by those who try to claim that the ends justify the means. Nothing could be further from the truth. The ends will always be reflected in the means. Thus those using hierarchical methods in their struggles today will never lead us to a free society. Putting in place the principles of anarchist communism in our struggles today will be the seed from which anarchist communism will grow in the future. Mutual aid is the concept of providing resources and support in the spirit of communal benefit. Mutual aid is practiced amongst the most successful species (including predatory ones and humankind ourselves). By enacting this principle in material ways we show our solidarity. This changes cooperation and sharing into a force that governments fear. It is the means by which we acquire the strength to change society. It is essential that we form up groups based upon a shared experience of oppression so as to better understand our own situations and come to a decision on how any shared struggles should be fought. The reason for this is that any victory made by an outside force would end up reliant upon the goodwill of these allies. On the other hand, any victory won by those affected directly will have involved learning the tools required to maintain any gains for themselves. Autonomous groups would still look to form bonds of mutual aid with one another, ultimately sharing an interest as members of the working class, and should aim to act in solidarity with one another’s struggles. The difference here is that those with a shared experience of oppression would lead their own struggles, not an outside force. This offers the only chance of winning a lasting freedom. An individual anarchist can only do so much on their own. The feeling of isolation which capitalism imposes can often lead to disillusionment and despair. The lasting change that is essential to anarchism is brought about by taking action together as a collective. Collective action in the shape of an anarchist group can accomplish far more than the individual members can achieve in isolation. A federated network constantly keeping us informed, sharing best practice and supporting each other when needed can punch well above the weight of any single group. By the same token, the working class is more easily dominated and exploited when we are divided. When we organise ourselves collectively we have the potential to act in a concerted manner against the bosses. Individual actions may alter conditions temporarily, but do not alter the condition between classes on a wide scale or with any lasting effect. Collective action also creates a spirit of combativeness as people realise that, far from being powerless, they do have the power to bring about change. Direct action involves tackling the root cause of a problem without appealing to a third party to act on your behalf. When we take action on our own behalf rather than lobbying an external authority, this provides us with opportunities to raise class consciousness from the situation and improve our effectiveness in taking action. Conversely, political action is when the proposed solution relies on someone else taking action to resolve the conflict. This often requires a high level of activity with a high chance of failure. Political action reduces or controls the opportunities to form lasting change through collective action. Rather than foster a culture of resistance, it isolates different segments of the working class and fosters a culture of reliance on authority figures and specialist groups. Direct action is not simply a loud or militant protest, with some of the loudest protests (such as demonstrations outside of shops or marches from one point to another) being forms of political action. We should only advocate political action when direct action would not be possible or would not have a positive outcome. We should always make clear to those involved which kind of action is being undertaken and be realistic about our thoughts on the outcome, aiming to always take part in actions that will win concrete victories. For working class organisations to remain focused on achieving the goals of the whole group, we need to ensure that access to decision-making is provided in a fair fashion and that participation is open to all involved. Each person should have equal input into any decision that will affect them. This stands in contrast to the usual scheme of things, in which a hierarchical elite take positions and make decisions for the whole group. Even in the small scale a self-important committee can end up taking decisions that further its own interests rather than the interests of all involved.